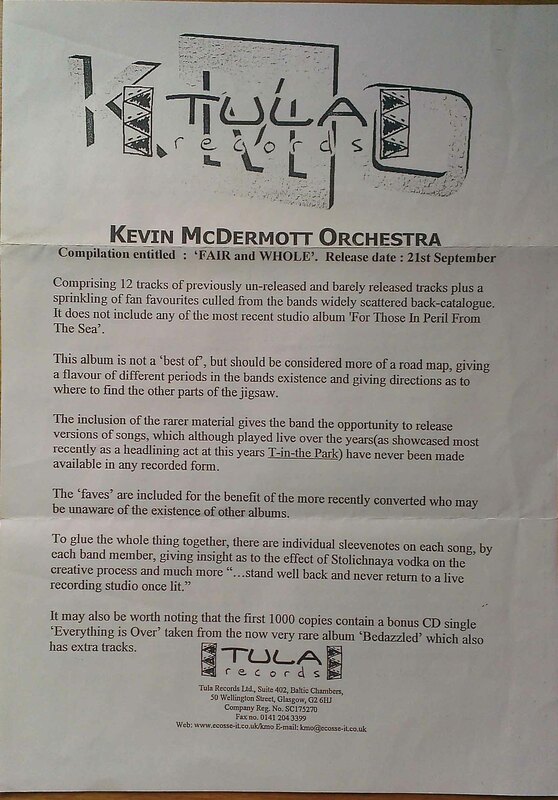 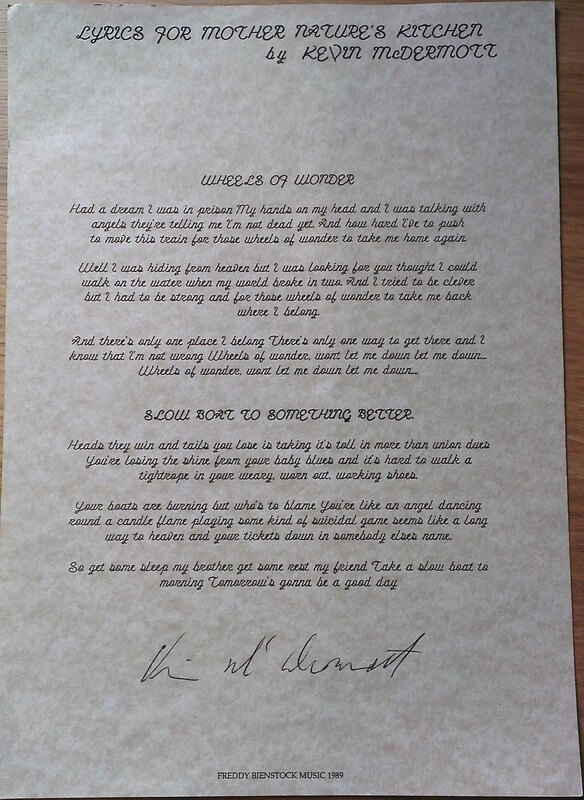 We were fortunate enough to be in put in touch with Davie Watson who had hung on to various pieces of Kevin McDermott related memorabilia over the years including many releases to the KMO mailing list in the days before email. 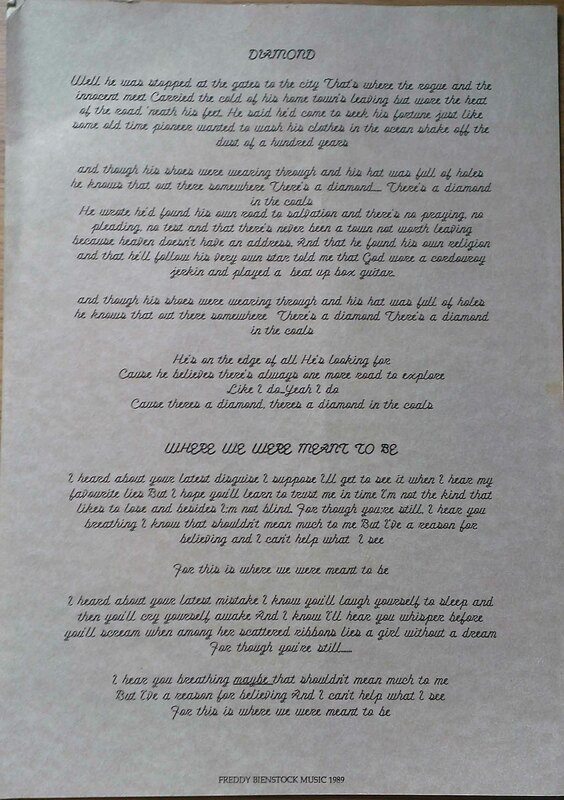 He also allowed us to photograph it to be added to the site. 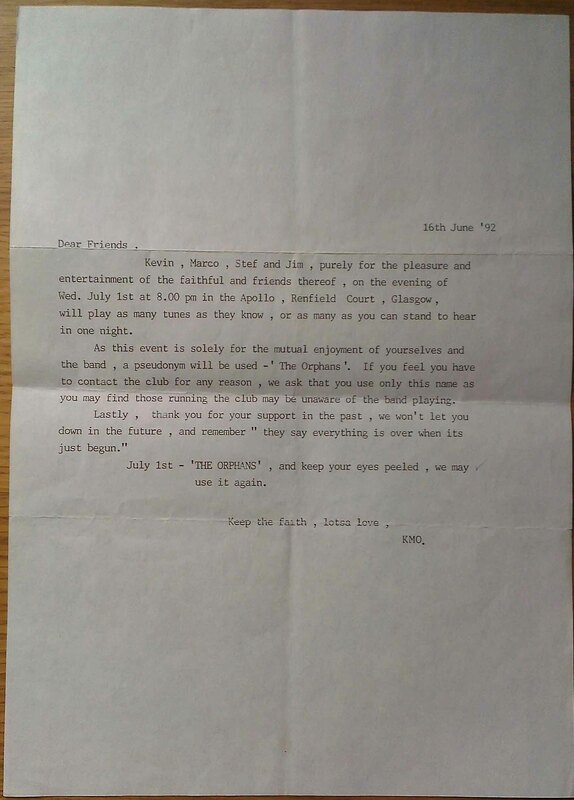 Thanks Davie and if anyone else has anything along these lines please get in touch. 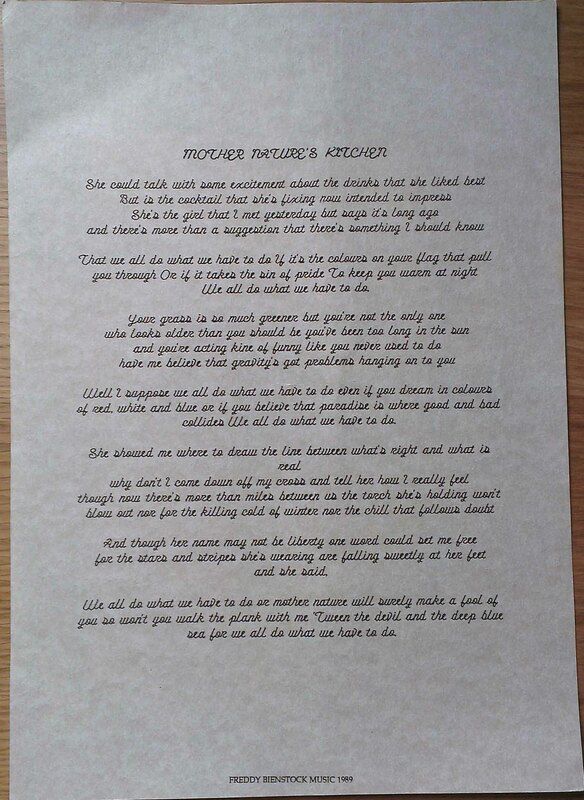 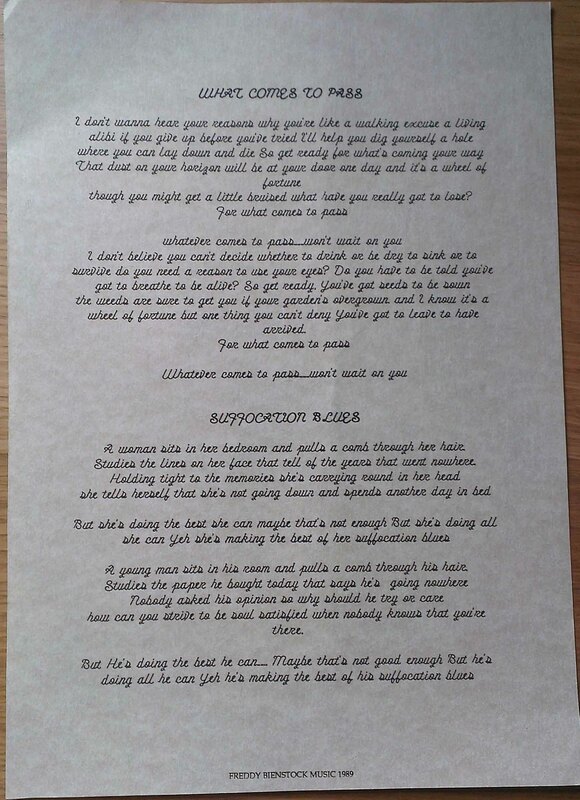 Bedazzled lyric sheet pt 1. 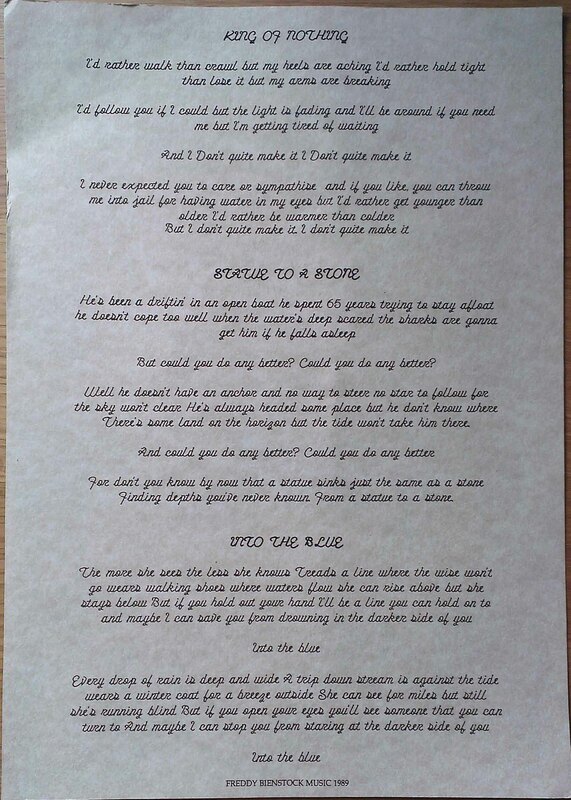 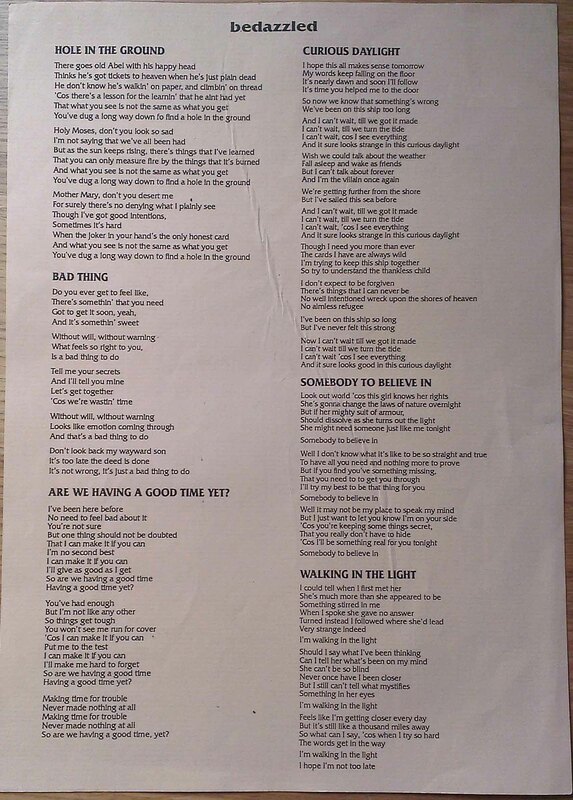 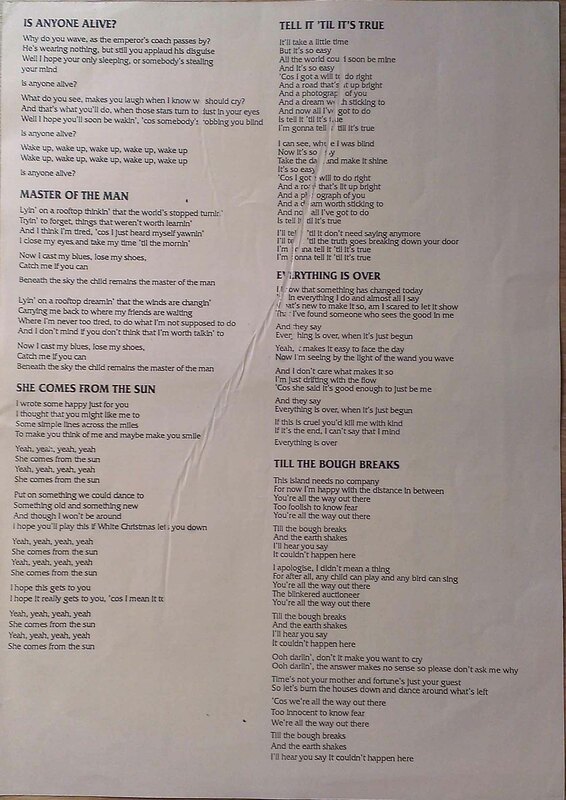 Bedazzled lyric sheet pt 2. 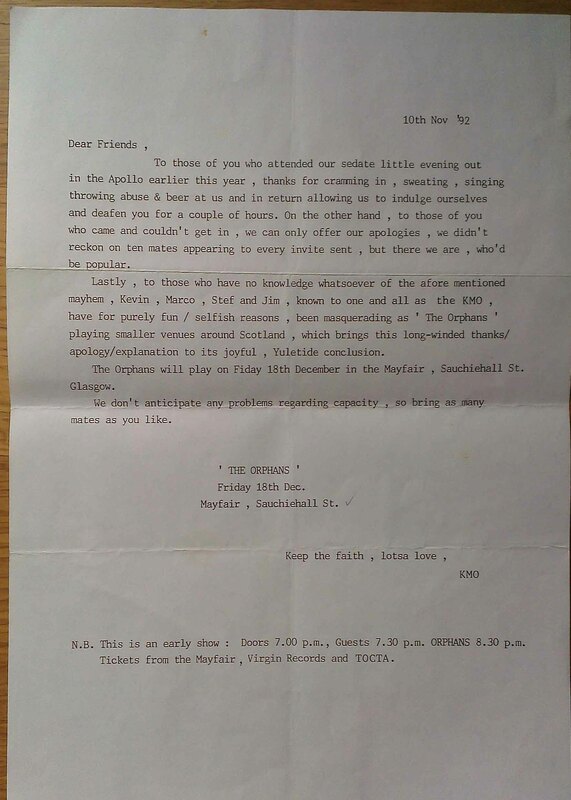 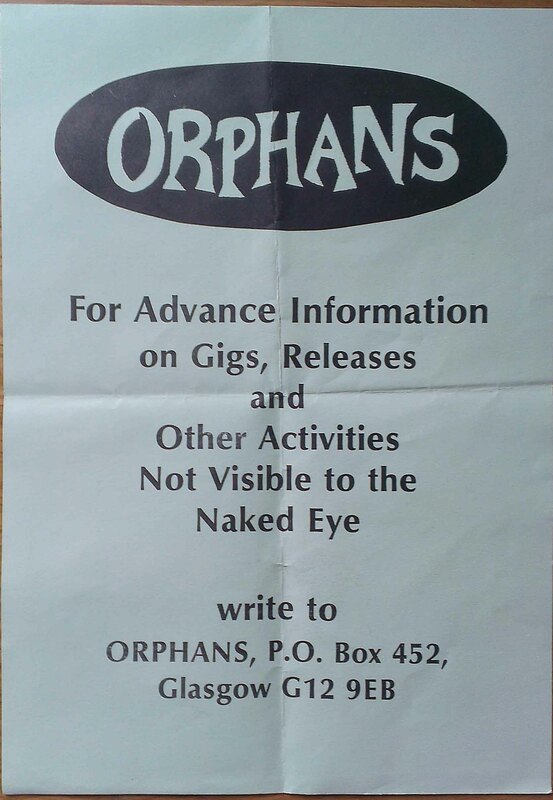 Info about The Orphans date in July 92. 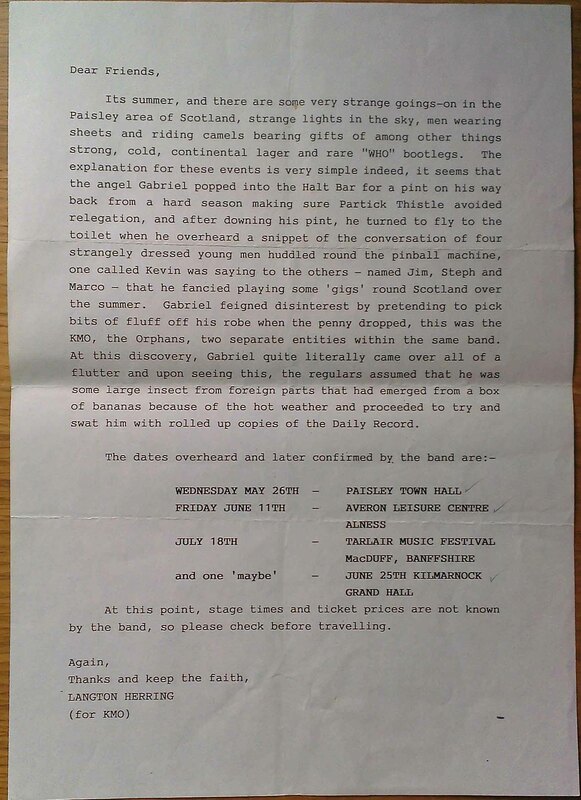 Info about The Orphans date inDec 92. 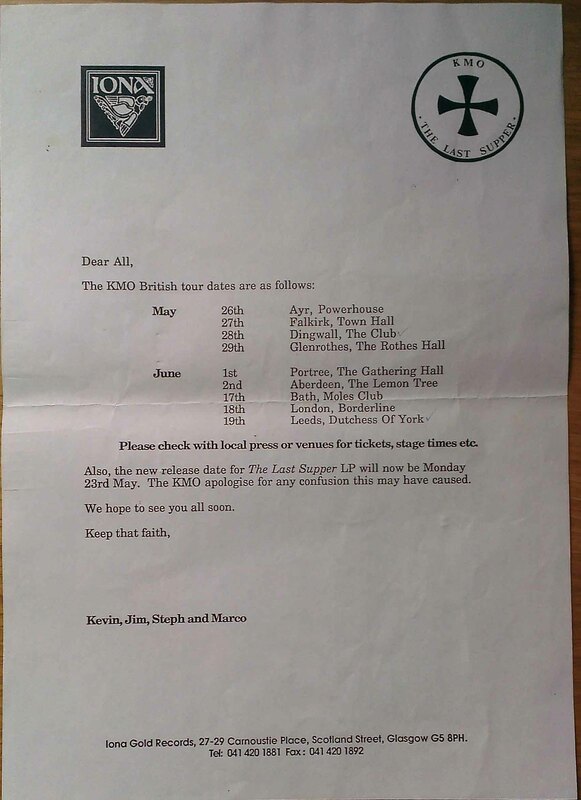 Details about dates in 1993. 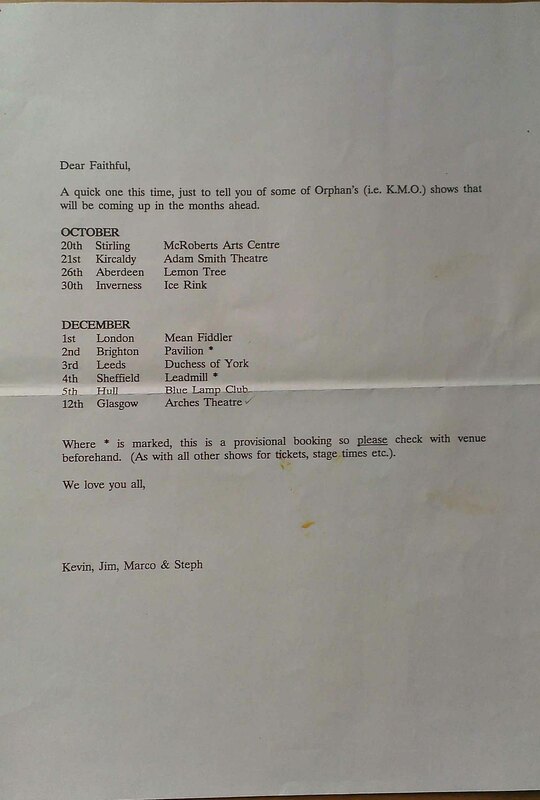 Details about Orphans dates, not sure what year. 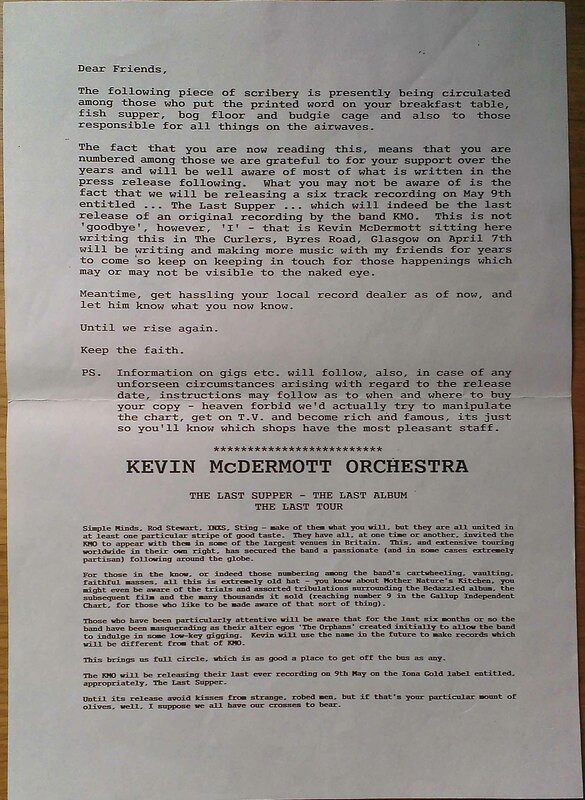 Info about The Last Supper album. 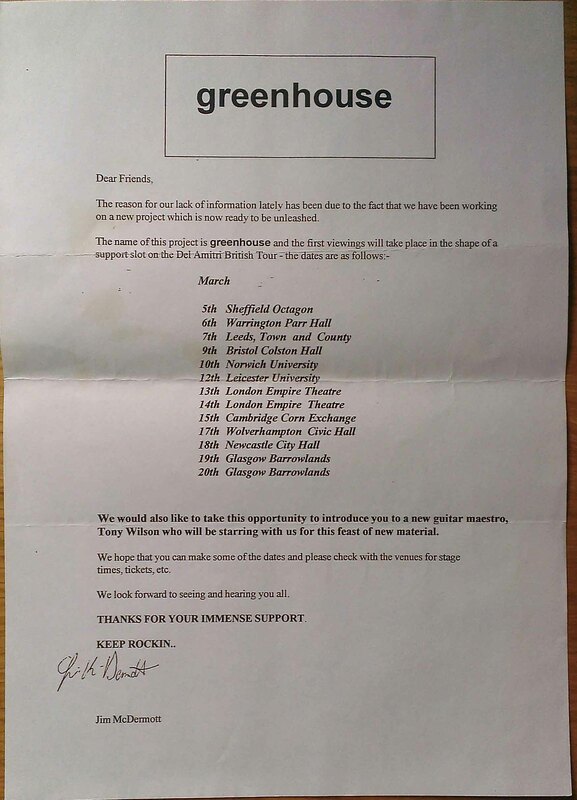 Info about The Last Supper tour dates. 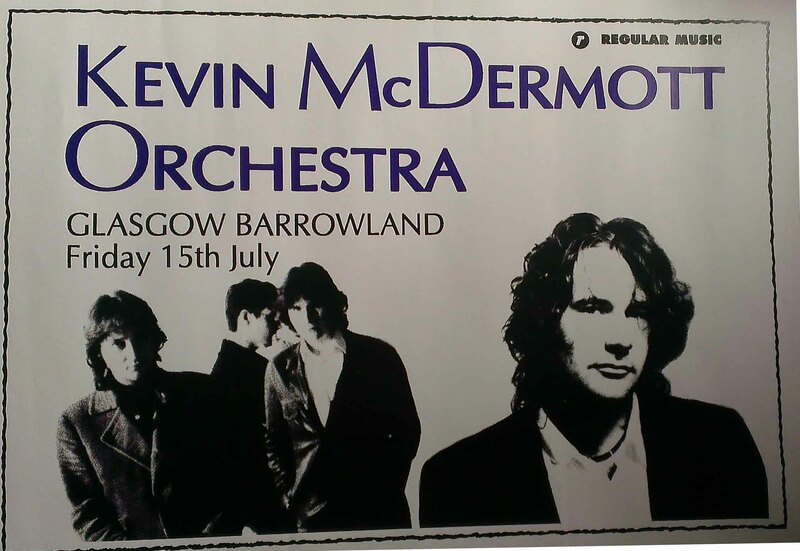 Gig poster for show at the Barrowland in 1994. 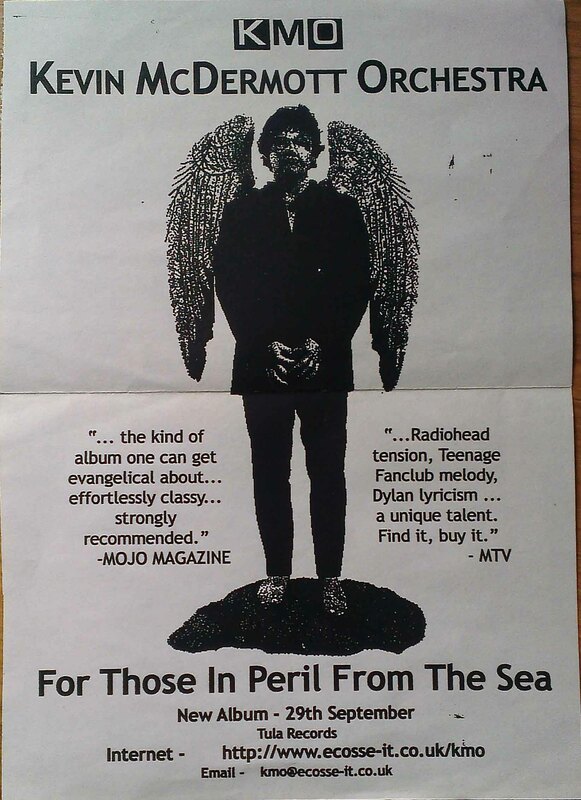 For Those in Peril From the Sea promo poster. 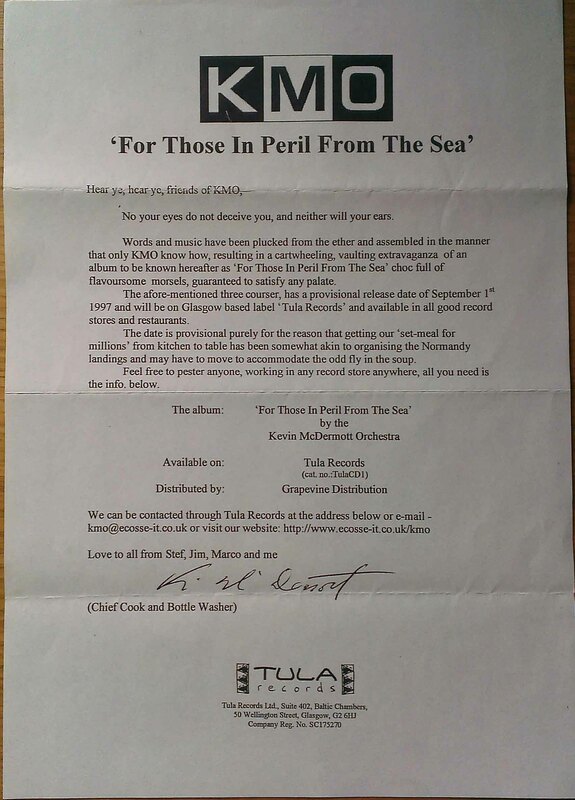 Info about For Those in Peril From the Sea release. 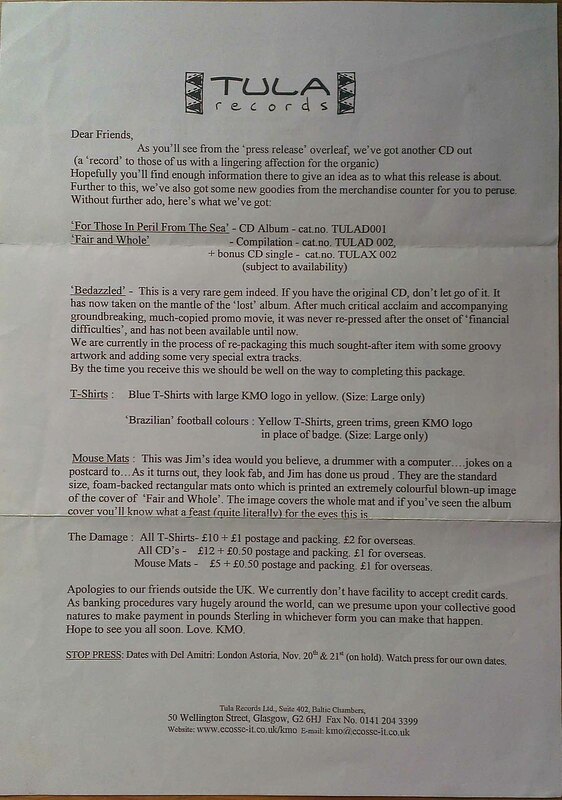 Info about album releases and t-shirts. 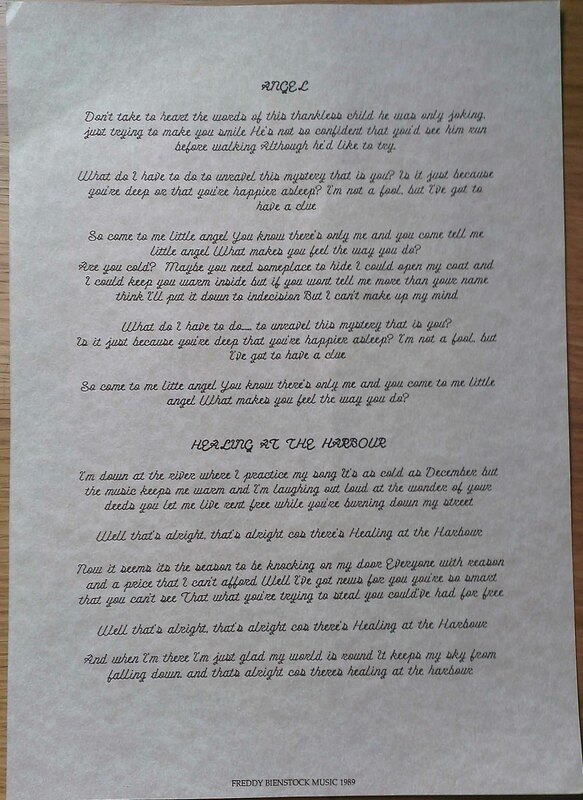 Info about the fair and Whole album release. 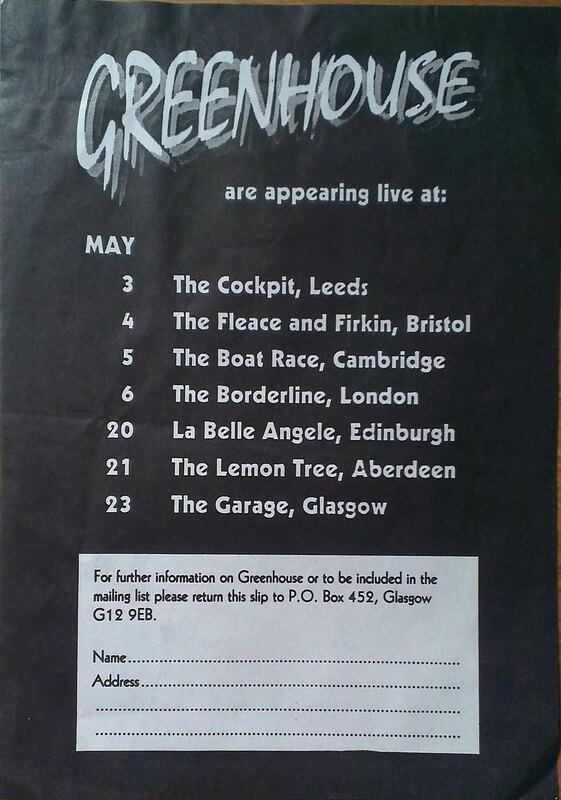 Info about greenhouse gigs in 1995.